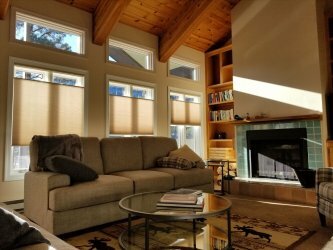 Durango Shade Company’s long and diverse list of products offers you a solution for all your shading needs. They provide interior and exterior shading products for both residential and commercial applications. From cellular and roman shades to pergotendas and restaurant and patio enclosures, it’s covered. 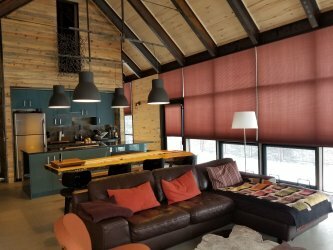 Durango Shade Company offers a plethora of interior window coverings and blinds to accommodate both your home style and your specific shade needs. They also provides a full line up of exterior shade products, including, shades, awnings, and retractable screen doors. 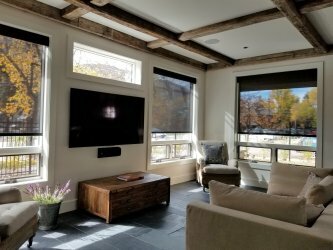 Durango Shade Company also specializes in motorization, providing easy operation of all their window coverings and exterior shades with the touch of a button. Durango Shade Company is locally owned and operated with operations based out of beautiful Durango, Colorado. Our team of window covering professionals have over 30 years of experience in the window coverings & blinds industry. Working with many of the top manufactures in the industry, our team has the experience and background to recommend and design the right product for your window covering needs. Your purchase makes a difference. Durango Shade Company donates 1% of all profits to a customer recommended cause, which means you get to choose an organization to support! Buy purchasing window coverings and blinds from Durango Shade Company, you’re helping build a better community. Each quarter, a cause will be picked from a pool of customer recommended causes and the profits will be donated to that cause. Check out one of the donations that “Window Coverings For A Cause” made! Durango Shade Company specializes in motorized shading systems and smart home automation. Home automation makes it easy and more convenient to control your homes products. You can control motorized blinds, lights, music and much more from your smart phone or tablet. Automating your blinds and other smart home products allows your home to be more energy efficient and saves you time. Have your blinds and lights automatically turn on and off with the set schedules. You can even control your blinds and lights with voice command through Alexa, Siri and Google Home.